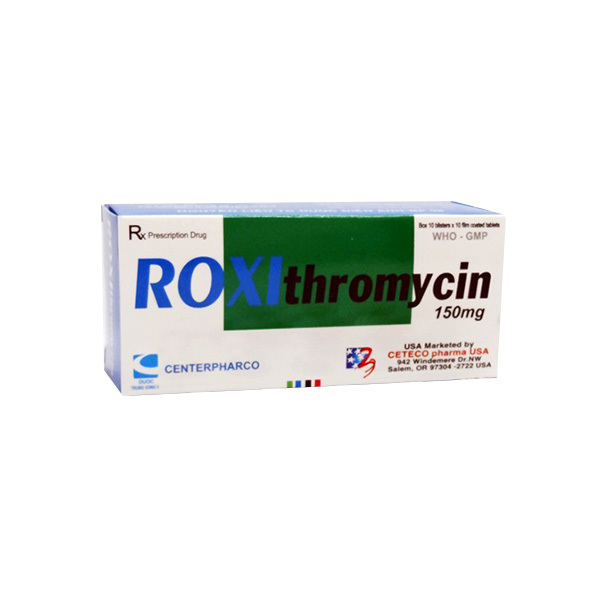 Roxythromycin is prescribed for treating several types of bacterial infections depending on their severity. It is particularly effective in treating infections like cute pharyngitis (sore throat and discomfort when swallowing); Tonsillitis; Sinusitis & Impetigo (bacterial infection causing sores on the skin). Roxythromycin belongs to the erythromycin group of drugs. It works in a similar fashion to most other antibiotics and prevents the formation of certain proteins needed for the bacteria to survive in the body. Always use only as prescribed. Never exceed the dosage. Roxythromycin may be used with or without food. How & where do I store Roxythromycin? If you accidentally consume more medication than what was prescribed, then contact an emergency healthcare center immediately. This will allow your healthcare provider to prescribe the apt dosage of the medication for you. Roxythromycin is known to cause drowsiness or dizziness. Your vision may be blurred and your judgement affected if you consume alcohol with this medication. So, avoid using alcohol while using Roxythromycin. Certain prescription drugs or health supplements or even food items are known to interact with the effects of medications. Roxythromycin is known to have possible interactions with the following medications. The effects of these medications when taken with Roxythromycin are varied. Roxythromycin is an antibiotic that is effective only in the treatment of bacterial infections. It will not be effective against viral infections like cough and cold. Antibiotic treatment must be monitored closely by doctors because prolonged treatment increases the resistance of the bacteria against Roxythromycin. A future bacterial infection becomes severe and difficult to treat. Some patients experience a persistent diarrhea, abdominal or stomach pain/cramping, or blood/mucus in their stool. Contact your doctor immediately if this happens. Roxythromycin is categorized under FDA pregnancy category B.